Think about the arts. Painting, acting, dancing, writing. Michele A’Court, famed comedian from New Zealand, said in her Guardian article “People don’t ask if women can act, or paint, or dance, or write, or sing, or play music. 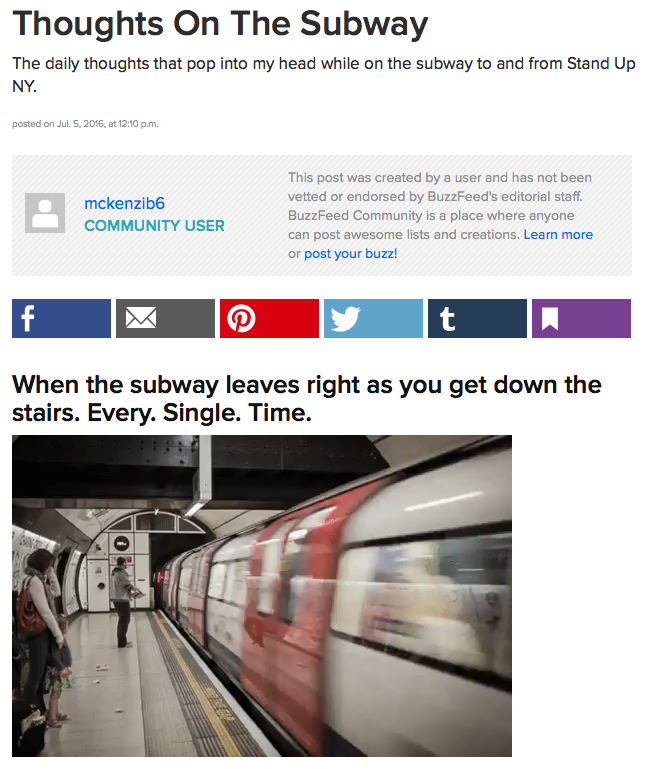 Comedy still seems to be a place where we’re regularly made to feel ‘other.’” Unfortunately, this comment, while two years old, still rings true as taking a quick look through the line ups of most of New York’s stand up clubs this weekend will point out something quite obvious: A distinct lack of women in relation to men. Fey’s remarks speak towards comedy at all levels, as women continue to be a minority in comedy from standup to the screen, receiving less money than men as well. Comedy allows its performers to voice their complaints about our society, showing their audience what isn’t quite right about the status quo. Given this, if we are to nearly silence half of the population, the half that certainly has more to complain about than the male portions, we ignore a great way for women to promote social thought. Growing up in New York, performing standup throughout high school and now in college, I’ve have not seen one female performer at any school event, which is worrisome as that translates to the number female comedians emerging in the industry. I personally was inspired to begin doing standup by the male comedians I saw performing in clubs and on television, yet the lack of female performers in this regard offers little encouragement to any would-be female comics. The necessary change has to come from the club, and the television and larger comedy forms will follow. First, if we are to understand the gender gap on the standup stage, we have to understand how society works to prevent women from attempting comedy. Julia Serano, transgender writer and trans-bi activists, writes “the way that we are socialized, and our cultural beliefs, influence our brain development, and therefore our behaviors.” In addition, Andrea Greenbaum, professor of Writing and English at Barry University, states: “Women, in general, are socially conditioned to avoid confrontation, but stand-up comedians, if they are to be successful, must engage themselves with the audience, and by doing so, put themselves at verbal risk.” Taking this information, we see that the socialization that women undergo factors directly into their desires to pursue comedy. While it’s true that not all women are socialized, there is a large population of women that are socialized to avoid the type of confrontation that makes for great comedians. While recent years have shown growth in parents teaching their daughters to be strong and outspoken, the fact that there aren’t as many women on the standup stage as men leads even the most outspoken young women to avoid comedy as a whole. In addition, any comedian will tell you that the club is where future stars catch their big breaks. Agents often recruit directly from them, and from there it can be a fast track to national recognition. That recognition is just what inspires young people, such as myself, to pursue comedy, and every time a woman makes that jump from local to national, we add at least one woman who sees comedy as a viable career. The club’s ability to produce stars that can foster actual change in the composition of comedy is exactly why it’s the duty of clubs to promote as many women as possible, and our duty to support the female comedians that perform there. 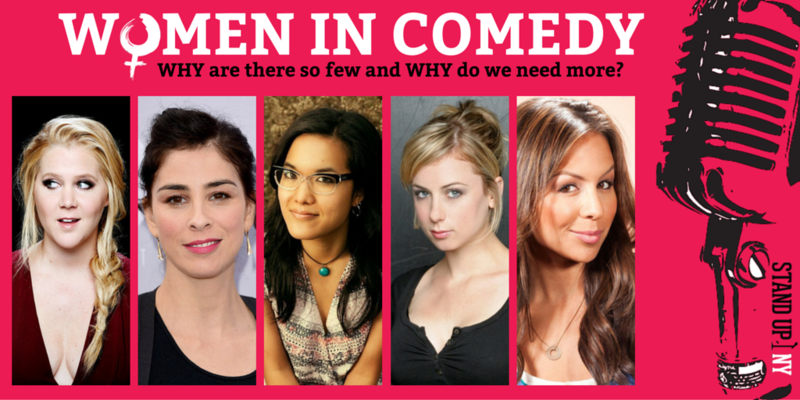 Comedy, in its current state, produces an atmosphere that doesn’t let female comedians thrive. The power of the club to launch female performers into the spotlight, who can in turn encourage young women to pursue comedy, goes a long way to changing the direction of women in comedy for the better, by not only increasing the amount of women on stage or on screen, but increasing the appreciation of those performers, helping work towards ending the gender bias in pay. 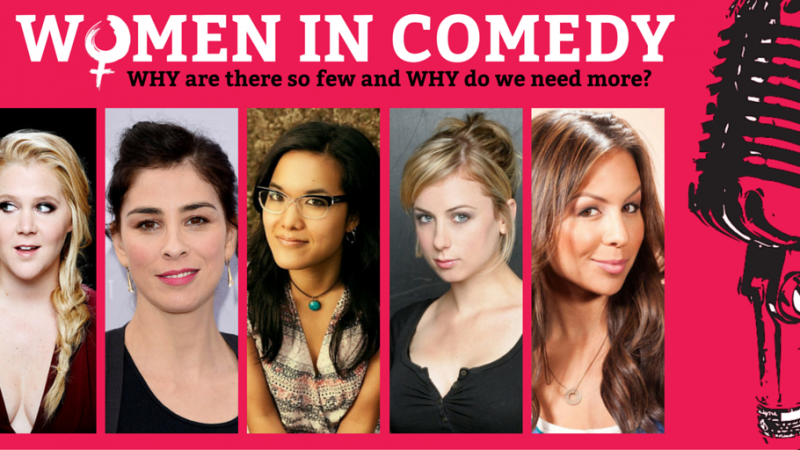 The fact of the matter is that we need more women in comedy, and the clubs have the ability to make that a reality. In the end, I’m arguing for more laughs, and who doesn’t want that. Stand Up NY goes a good way towards getting women on stage and offers plenty of female-heavy shows all year round, but it’ll take more than just one club to make a lasting difference. Stand up for your local female comics and they’ll stand up for you! Let me know what you think in the comments section! 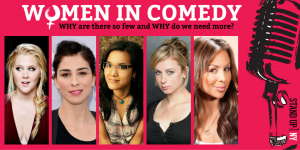 Check out our all-female show “The Goddesses of Comedy” tomorrow (July 27th) at 8pm!